Tag Archives: NYC & Co. If there was just one thing the world’s two largest economies could agree on both wanting, tourism would be it. China and the United States announced this week in Beijing that 2016 will be the year of mutual tourism promotion, one of the outcomes of President Xi Jinping’s visit to the United States last year. The focus on tourism between the two countries come as overseas travel booms in China, in fact more Chinese vacation abroad than any other nation. More than 120 million Chinese traveled abroad last year, up 12 percent year on year, and they spent $104.5 dollars, up 16.7 percent over the same period. “The scale and the speed with which the market grow is quite remarkable,” said Fred Dixon, CEO of NYC & Co., the agency responsible for promoting New York City, the top US destination city for Chinese travelers. Despite New York being the top destination less than 3 percent of Chinese outbound tourists go to the United States. The Republic of Korea, Japan and Thailand are much more popular choices, partly because of their proximity. Despite this, Chinese visitors to the United States has been growing at a double digit rate over the past few years. In 2015, 2.67 million Chinese visited the United States, compared with less than 400,000 in 2007. Goldman Sachs estimates that the number of Chinese visitors will almost double to 5 million by 2025. This growth prospect has excited tourism players across the States. Many have sent delegations to China and the news about the tourism exchange will no doubt see them double down their promotional efforts. “New York City is definitely the #1 dream destination in 2016 for Chinese travelers” said Pierre Gervois, Publisher of the Shanghai Travelers’ Club magazine, a luxury travel publication for affluent Chinese travelers planning a trip to the United States. “The attractivity of NYC is extremely stong for all categories of Chinese travelers, from Chinese real estate investors to students. 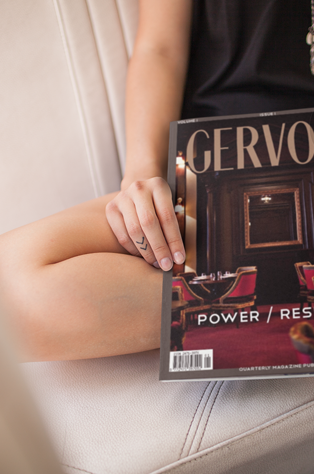 We now publish more than 30% of our editorial content about NYC, per request from our readers”, Gervois added. Travel agencies and tourism promoters say a more powerful boost to Chinese tourists inflow to the US is visa relaxation. In November 2014, the two countries extended visa validity for tourists from one to 10 years. This policy has pushed up the share of Chinese travelling to the United States purely for leisure. Data compiled by various popular destination cities in the United States show that for Chinese visitors, leisure travelers have begun to outnumber business travelers in many places. “The 10 year visa extension is really a game changer,” Dixon said, adding that the relaxation has paved the way for more Chinese to visit the United States for pure leisure and on their own, instead of on business trips or organized group tours. Chinese online travel service provider Ctrip also reported a surge in US visa application through its platform between January to August last year following the visa relaxation. With more tourists heading to American shores on their own, tourism promoters say they are reviewing their messages here in China. 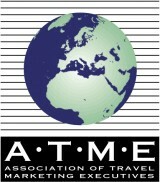 While travel agencies are still valuable partners, they have begun to engage with prospective travellers directly. “In the very beginning our work was very much about working closely with the trade on the group side, but now we are seeing a move toward independent travel,” Dixon said. That shift led promoters to prioritize their online presence, as websites, social media and apps have become prime channels for information and planning. More than 259 million Chinese booked their travel online last year, of which 80 percent did so on their mobile devices, according to China Internet Network Information Center. The demographics are changing too. China’s outbound travel boom is fueled mostly by a new generation of travelers. 67 percent of China’s overseas tourists in 2014 were born after 1980s, data compiled by Goldman Sachs show. All these changes impact travel decisions. Promoters say group travelers want to see iconic sites and things they have seen on TV and in the movies. But reaching out to the new generation of savvy Chinese outbound travelers takes more than that. The appeal for them, Dixon said, lies beneath the surface, in lesser known communities, parks and museums that add more personal character to their travel experience. Chinese tourists in Times Square: A huge number of nation’s growing middle class is expected to visit city after new agreement allowing China’s travel agencies to promote tours. City tour operators are smacking their lips at the prospect of an influx of nouveaux riches from China – the result of a new travel deal between that country and the U.S. The agreement, signed Dec. 11 by U.S. Commerce Secretary Carlos Gutierrez, allows tour operators in China to promote group trips to U.S. shores. 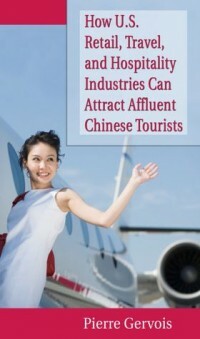 Commerce figures estimate it could draw an estimated 579,000 Chinese visitors by 2011. China’s 1.4 billion population includes an increasingly affluent middle class. Already, the Chinese outspend other tourists in New York. Each shells out an average $2,200 per visit, compared with $1,750 by travelers from other countries, said Kimberly Spell, a spokeswoman for NYC & Co., the city’s tourism organization. They gobble up blue jeans, skateboards and other American goods, she said. But they’re especially hungry for the Western luxury products that line Fifth Ave., Madison Ave. and department store shelves. “All they want to do is shop,” said Jiao Ma, 25, who moved to New York from China about 10 years ago. Standing outside the Louis Vuitton store at 57th St. and Fifth Ave., Ma said she expects many Chinese nationals to take advantage of the group tours. “They buy tons and tons of LV bags, and then go home and post online ‘Look what I got! '” she said. Anticipating the agreement, New York City set up a tourism-marketing office in Shanghai in June to promote the Big Apple to Chinese travel agents.Some 145,000 Chinese visited the city in 2006, a number expected to hit 159,000 last year, city officials said. “We’ve never seen a country with a population this size have a dramatic change in who can come visit,” Spell said. “It’s staggering to think of the potential.”Business travelers dominate the Chinese tourist market, but city landmarks are tailor-made for the tour operators expected to advertise the U.S. to Chinese who enjoy traveling in groups. Gray Line Tours is now offering Mandarin-language tours of the city; they are about 40% full, said company president Tom Lewis.